Like most people, you probably thought Wikipedia was all about the creation and spread of knowledge and information on the internet. It certainly is just that, but there's actually another very entertaining use for everyone's favorite free source of knowledge — the Wiki Game. What Is the Wiki Game? The Wiki Game is a fun game that can only be played in groups of two or more (not just by a single player) and for people of all ages, young or old. The game is sometimes referred to by other names such as "Speed Wiki" and "Wiki Racing." The only thing players need is access to the internet on a computer or a mobile device. There are only a few basic rules for the Wiki Game, which includes two variations: Speed Wiki and Click Wiki. 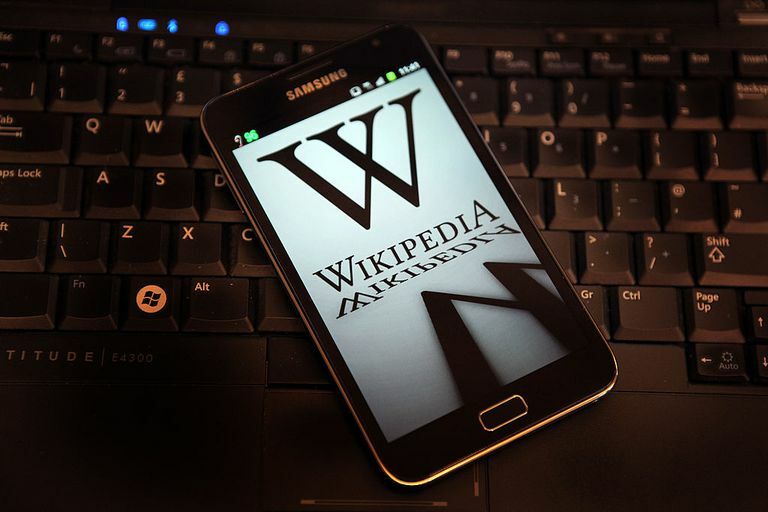 Ideally, each person should have access to their own computer or mobile device at the same time, but Click Wiki can be played by taking turns in dire situations. All players must start on the same (random) page on Wikipedia or a similar wiki. Players must race to "home," which is a random destination page on the wiki decided before the game starts. So, for example, let's say that a group of players start their game on the French Fries page on Wikipedia and decide that their "home" page is the Tasmanian Devil page. The challenge is to get from one page to a totally unrelated page only by looking links that give clues — possible words or phrases that may be related to the subject matter of the home page — and then clicking on them to take you to a new page. Players can only click links within the content section. They cannot click links from the menu or sidebar. Players cannot use browser navigation, which means no hitting the back button or the forward button. They also cannot access their browser history. Lastly, players cannot use the keyboard. Obviously, this not only means no use of the search box but also no hotkeys for going forward or back a page. The two main ways to play the Wiki Game are Speed Wiki and Click Wiki. In Speed Wiki, the first player to home base wins. In Click Wiki, the player who reaches home base in the fewest number of clicks wins. Obviously, players would need to keep track of their number of clicks in Click Wiki. Speed Wiki is better suited for larger groups of people were monitoring the number of clicks could become too time-consuming. Click Wiki is great for a smaller number of players where the player can contemplate each move thoroughly before making it. If you love word games, puzzle games or just problem solving in general, the Wiki Game is a great game to try out with the family or a group of friends maybe on a rainy day—especially if nobody can tear themselves away from their smartphones. Tell everyone to download the free Wikipedia mobile app for iOS or Android and get them excited about trying out the Wiki Game. Who knows? Maybe you'll find it's more fun than playing traditional board games!